A preliminary report from Canada’s transportation watchdog appears to confirm shippers’ complaints about discriminatory treatment for commodity lumber. In other Business news: Quebec truckers face growing challenges; Northern Pulp’s uncertainty ripples down to its contractors; Random Lengths says improved weather will trigger higher prices; and AF&PA’s Donna Harman opines on the evolution of the US industry. In Forestry/Climate news: California’s wildfires spark preemptive state of emergency; ENGOs call for carbon capture with forests; natural forests are better than plantations at fighting climate change; and northern forests CO2-uptake is on the rise. Finally, from the COFI conference, Yurkovich’s highlights, Jeffrey’s timber accolade, Harder’s notable quotes, and our photo gallery of the folks in the room. Please enjoy our gallery of images captured at the COFI 2019 convention. It’s our pleasure to bring friends and colleagues together—and capture smiling faces, conversations and presentations at industry events. This is a small (237!) sampling of the many pictures Sandy took over three days of the convention. Once we’ve deleted the closed eyes and other obvious bloopers, it’s hard to delete images, every one captures different nuances of the speakers’ personalities! Over the next week, we will endeavour to email pictures to those we photographed – however, please contact us if there’s an image you would like. I’d like to wrap up the 2019 COFI Convention by summarizing what we’ve heard over the last couple of days. …I hope you will agree that we’ve been given a lot of food for thought and I hope that will you will leave here like me, optimistic. There’s no question that we have challenges, but working collectively and doing the right thing—we can continue to be a proud foundational industry, that’s going to benefit generations for decades to come. In closing, I want to again express my thanks to our exhibitors for being here this week. Thanks also to our convention presenting sponsor, Finning Canada, and today’s platinum sponsor Farris, and to all the sponsors of this year’s convention. And finally thank you, our delegates, for your participation. That concludes this year’s convention. I invite you all to join us again at next year’s convention, when we return to the Prince George Civic Centre, April 1-3, 2020. A preliminary report from the Canadian Transportation Agency appears to confirm shippers‘ complaints about a relatively high number of restrictions on commodities they tried to move by rail through the Vancouver area. Industry groups have accused Canada‘s two largest rail companies of “discriminatory treatment” against some commodities, the report notes, highlighting the use of embargoes that temporarily stop traffic at specific loading points or interchanges. …the report is part of a CTA investigation … following complaints from shipping associations about rail service in B.C.‘s Lower Mainland over the past three months. …In a statement last week, Canadian Pacific Railway Ltd. chief executive Keith Creel called the investigation‘s abrupt launch “irresponsible.” …Derek Nighbor, head of the Forest Products Association of Canada, warned the railways this week against playing “commodity whack-a-mole.” He said the embargoes cost the pulp and paper industry $500 million in contract penalties, shipping charges, rebooked routes and storage costs. While softness prevailed in prices, trading in framing lumber picked up modestly amid drier and warmer weather in some market. Increased demand was mostly reported among distributors, wholesalers, and other buyers, while orders were slower to reach back to the mills. …Structural panel prices faded as conservative purchasing lagged mill offerings. OSB prices cracked in most producing zones across North America, as a number of mills accepted counters to alleviate buildups and push order files out one to two weeks. …Traders are in near-unanimous agreement that market activity across species and regions will strengthen, as adverse weather loosens its grip on the continent. Many also believe, however, that increased consumption will be limited by a dearth of available labor. 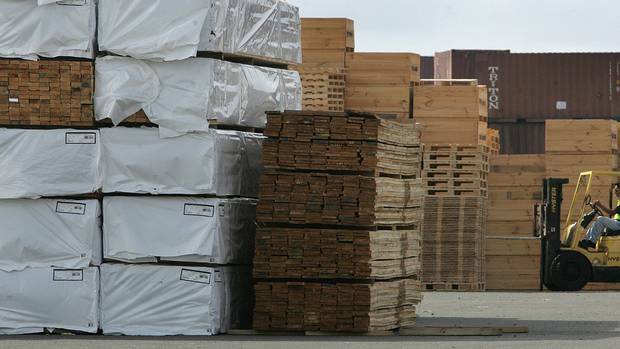 Workers at four interior sawmills have rejected a tentative collective agreement with CONIFER. USW Local 1-2017 recently concluded the ratification votes for 13 operations covered by the CONIFER memorandum of agreement reached February 13 in Prince George. The local union met with the membership at Tolko Lakeview on March 20 and 23 regarding the memorandum that was rejected at that operation. Since then the union has scheduled a meeting with the employer and will resume bargaining April 10 in Williams Lake. The three Canfor independent mills; Chetwynd, Polar and Plateau, have also completed their ratification vote. Chetwynd accepted the agreement and the other two operations rejected the proposed deal. Judges at the Supreme Court of Canada are still deciding. They heard arguments at the end of March about who will be responsible for clean-up costs at the Dryden mill, but there’s no date for the release of the court’s decision. The province has been challenging the validity of an agreement with forestry companies reached in 1985, which was later transferred to a new buyer for the property. The deal meant Queen’s Park would take on the environmental liability, in return for a new company buying the mill and providing upgrades. However, the province is challenging the deal. Hearings on March 28 looked at whether the Court of Appeal erred, when it failed to find the terms of the 1985 Indemnity meant that Resolute FP Canada Inc. is entitled to benefit from the 1985 Indemnity, as the corporate successor of Great Lakes Forest Products Limited. WRC Timber Inc. (WRC) is pleased to announce new leadership at its sites in White River and Hornepayne as well as for its woodlands group. White River Forest Products (WRFP) is now led by Mill Manager, Sean Lauzon. Sean took the helm on January 21st, after WRFP had been without a mill manager for six months. “Sean is a seasoned forestry professional and experienced industrial manager,” said Tony Wyszkowski, WRC’s President. “He has the drive and passion to unify the team and lead it towards efficiencies now crucial with current lumber prices.” In Hornepayne, Rick Merling took over as Site General Manager and Chief Engineer, on January 15, 2019, having joined the organization as Assistant General Manager on October 15, 2018. MONTREAL, Que. – Canada’s forestry sector is worth an estimated $20 billion a year, but those who haul logs from the forest to sawmill are experiencing the weight of factors from wildfires to lumber tariffs. Wildfires make lumber buyers nervous about supply disruptions, CIBC World Markets analyst Hamir Patel said last August. …As logging revenues drop, investments into bush roads tend to drop with them. And it’s a situation that log haulers experience first hand. The rougher roads inevitably take their toll on equipment, says Mario Beaulieu of the Association Nationale des Camionneurs Artisans, which represents 800 independent log haulers in Quebec. The same logic applies across the country. “You can definitely tell when the market is down,” says Jeremy Kuharchuk, director partner of Blue Valley Trucking, from Vanderhoof, B.C. When I joined the U.S. forest products industry nearly 30 years ago, business structures were different than they are today. However, the foundational principles of the industry have and will continue to stand the test of time. 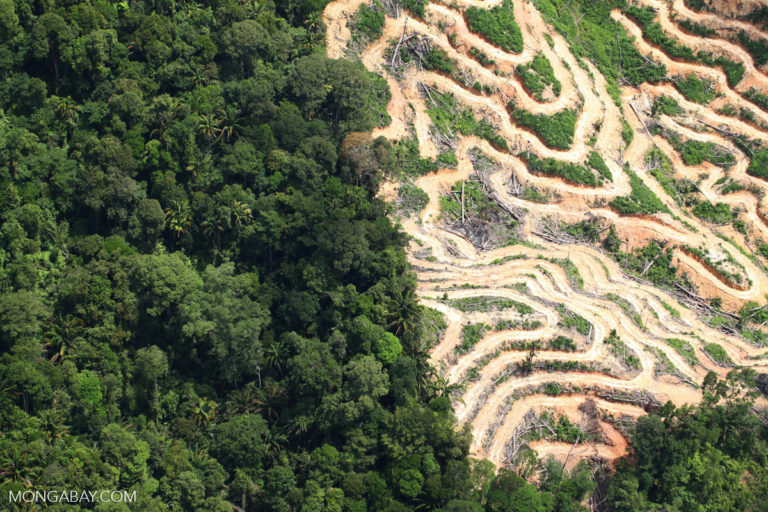 For starters, many paper and wood products companies owned their own forestland in the 1980s. Owning their own wood fiber gave companies oversight and control of their fiber sourcing, but changes in tax laws and pressure from Wall Street caused a big shift in the industry’s ownership structure and supply chain. Today, U.S. paper and wood products manufacturing companies typically do not grow trees; they buy them. 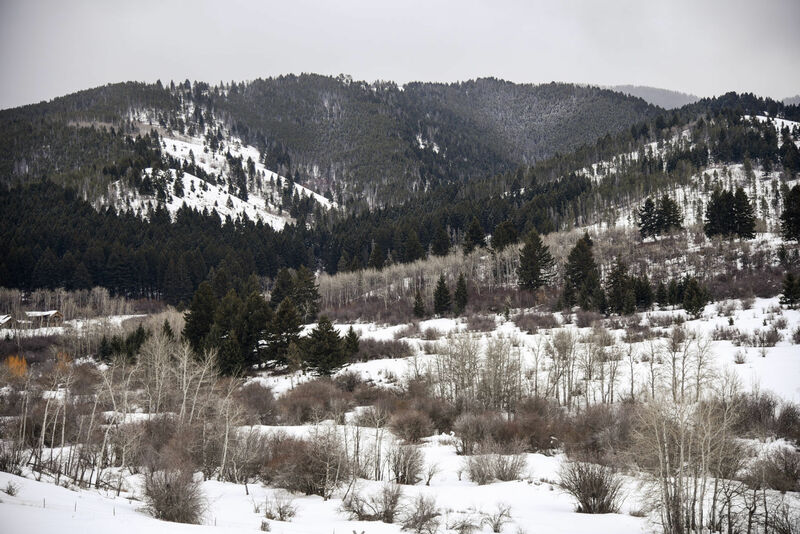 Privately-owned forests—many of them held by family tree farmers—now supply 90 percent of the wood used by the U.S. forest products industry. Two to three percent of the wood used by the industry comes from Federal lands; six percent comes from state and municipal lands; and one percent comes from Native lands. A Kawerau saw miller has signed a deal with a Saudi Arabian customer to more than double its exports to the Middle East country and potentially ship around 1500 containers of processed wood products annually, its chief says. David Turner, executive director of Tauranga-headquartered Sequal Lumber, said the “significant” deal could result in that business vastly increasing its exports to the Middle East country and the world’s largest oil exporter. But he emphasised arrangements were at a very early stage and he could not name the customer due to commercial sensitivities. “We have exported into Saudi Arabia for some time and been working the New Zealand Trade and Enterprise who have introduced us to a lot more customers around the globe and in particular in Saudi Arabia,” Turner said today. A library with a train track running through it and another with an angular design that maximizes natural light inside are highlights of this year’s American Institute of Architects (AIA) and American Library Association (ALA) Library Building Awards. Whether you’re an avid bookworm or not, it’s a great opportunity to check out some high-profile projects by the likes of SOM, Snøhetta and Perkins + Will. …there are a total of six winners of the 2019 AIA/ALA Library Building Awards. …all six winners are located in North America this year: four in the US and two in Canada. The most impressive is Calgary Central Library, by Snøhetta and Dialog. Fronted by an energy-efficient triple-glazed facade with a hexagonal pattern of fritted glass and aluminum panels, the building is accessed by passing through a large wood archway inspired by the Chinook cloud formation. The eight-story Carbon 12 building in Portland, Oregon is the tallest commercial structure in the United States to be built from something called mass timber. 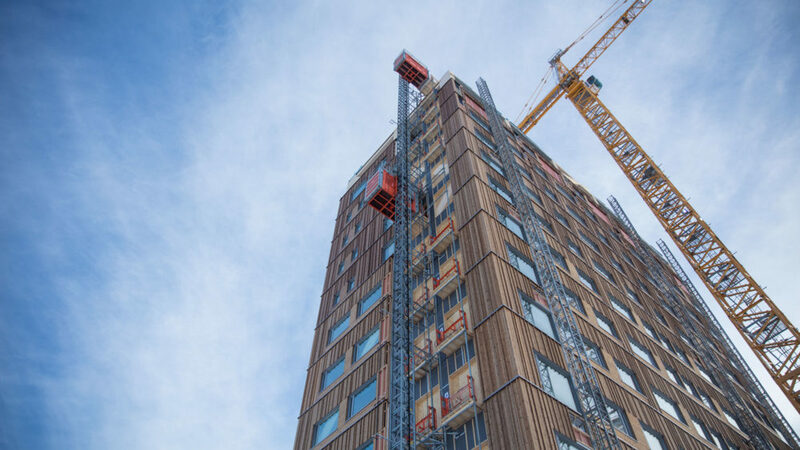 If the many fervent boosters of this new construction material are right, however, it is only one of the first mass timber buildings among many, the beginning of a construction revolution. “The design community in Portland is enthralled with the material,” said Emily Dawson, an architect at Kaiser + Path, the locally-based firm that designed Carbon 12. But there are big questions being asked about just how sustainable the new building material is –especially about how forests that produce mass timber are managed, and how much CO2 would be emitted in the logging, manufacture, and transport of the wood products used in the construction. So far, critics say, there aren’t good answers to these questions. CHESAPEAKE BEACH, Md. 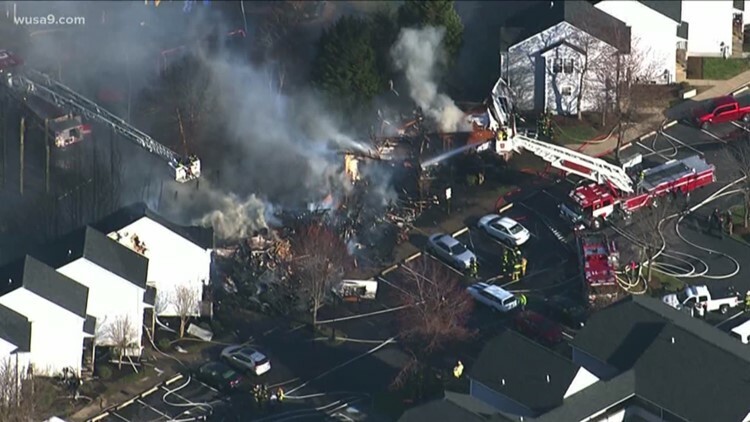 — It is still unclear what caused the deadly blaze in Chesapeake Beach, but officials tell WUSA9 “lightweight construction” found in the wreckage could be part of the reason the fire spread so quickly. “Lightweight construction has been a huge concern of our service for several years,” said Prince George’s County Deputy Fire Chief Alan Doubleday. Lightweight construction is typically used to build newer homes, mainly because it is cheaper than the solid wood that was previously used. But the materials used in lightweight construction also burn more rapidly. The homes – an affordable housing community – that caught fire on Wednesday were built in 1998, according to the property website. Doubleday went on to explain most of the uncontrollable fires his department sees are of structures that were built with lightweight construction. “Imminent collapse comes at a much faster pace than it ever did in the past,” he said. Hemp is known for its use in the fashion and wellness industries, with brands like KITX and BEAR respectively utilising the benefits of hemp in their clothing and products, now this plant fibre is making its mark as a sustainable building fabric. At last years BDA National Design Awards, a house in Mudgee, NSW coined the ‘Mudgee Hempcrete House’ won the Paul Dass Memorial Prize, a prestigious award given to a designer for outstanding achievement in building design, and the award for Best Residential Building. Within this house as the name suggest is Hempcrete. Hempcrete is a lightweight bio-composite made of the inner woody core of the hemp plant, weighing about an eighth of the weight of concrete. The material is used as an insulator rather than for a structural element. The core of the plant is mixed with a lime-based binder to allow it to be formed into slabs. The city is upgrading its approach to assessing fire risk in the expansive river valley. The 2,000 continuous hectares of river valley land that allow Edmonton to claim the title of world’s largest urban park. But having swaths of forest in the middle of the city also raises questions about the risk of forest fire. …Beval said the city’s urban foresters are in the early stages of creating a “desktop analysis” to help them better understand fire risk across the city’s forested and natural grassy areas. A total picture of the state of the city’s vegetation will be built by using LIDAR. …She said the city is doing some research and a literature review on the possibility of using controlled burns as a means of clearing out risky areas. Vancouver Island’s “fog zone” is no more. “When putting on open fire prohibitions, the Coastal Fire Centre has commonly excluded a two-kilometre strip of land along the extreme outer coast of Vancouver Island from Port Renfrew to Port Hardy,” said Alan Berry, senior wildfire officer, via press release. “This area has become known as the ‘fog zone’ and persons recreating within this zone were allowed to have campfires and local residents could conduct Category 2 open burns. This decision to exclude this area was made because of the lower risk of a wildfire spreading due to the presence of fog and a general lack of community bylaws and campfire procedures in provincial and federal parks in the fog zone.” Following the 2018 forest fire season, a review of the effectiveness of this procedure was conducted with federal and provincial park staff and local governments in the area including other partners such as First Nations. 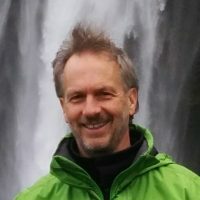 The Professor and Forest Renewal BC Chair in Conservation at UBC’s Faculty of Forestry is offering to help make a made-in-Cowichan plan for the North Cowichan forest reserve. Peter Arcese was in the Valley back in early March to attend the public event, along with 700 local residents at the Cowichan Performing Arts Centre to hear about the municipal forest and has penned a letter to Mayor Al Siebring. He’s inviting the Municipality to engage with the Coastal Douglas Fir Partnership and the UBC Faculty of Forestry to work together to identify “made in Cowichan” approaches when it comes to the use of our forest resources to generate revenue, but also to enhance amenity, fisheries, wildlife, and recreational values to residents and visitors. Arcese says the UBC Faculty has engaged in similar activities around BC and the world and the biographies of their members show experience in all of those areas as well as in mill-revitalization and the potential to “off-set” the opportunity costs of traditional forest harvest systems. Forestry Proud Day is coming to Campbell River on Monday, April 29! Forestry Proud day is annual celebration of forestry on Vancouver Island and the South Coast of British Columbia. It was started in 2018 as a way to gather a group together to celebrate pride in forestry. Each year, the event visits a different forestry community and pays homage to the dedicated folks in the sector who work hard to support their families and their communities. LOS ANGELES — As the 2019 California wildfire season approaches, Gov. Gavin Newsom issued a 12-month State of Emergency in late March to ramp up forest management projects that will help protect 200 of California’s most wildfire-vulnerable communities. The proclamation is part of Newsom’s $550 million budget for wildfire relief and efforts. “The increasing wildfire risks we face as a state mean we simply can’t wait until a fire starts in order to start deploying emergency resources,” Newsom said in a statement. “California needs sustained focus and immediate action in order to better protect our communities.” The governor’s decision also resulted from an executive order …to compile a Community Wildfire Prevention and Mitigation Report, which identified 35 fuel reduction projects to help reduce the public safety risk from a wildfire. This week Washington state celebrates the historic, impactful, science-based 20th anniversary of the Forest & Fish Law, a collaboration of federal, state, tribal, county governments and private forest landowners that led to the protection of 60,000 miles of streams running through 9.3 million acres of forestland. The annual gathering of the Salmon Recovery Conference will bring together about 800 attendees, 200 presenters and more than 50 exhibitors (including the Washington Forest Protection Association). They will share information about past success and future endeavors in improving salmon recovery in Washington state at the Greater Tacoma Convention Center April 8-9. In the late 1990s five partners of the Forest & Fish Law worked together for 18 months to form best forest practices rules to protect clean water. U.S. Rep. Greg Walden’s tone in a speech on wildfires and clean air to the Chamber of Jackson County/ Medford on Monday afternoon was far from dampened by the steady rain. 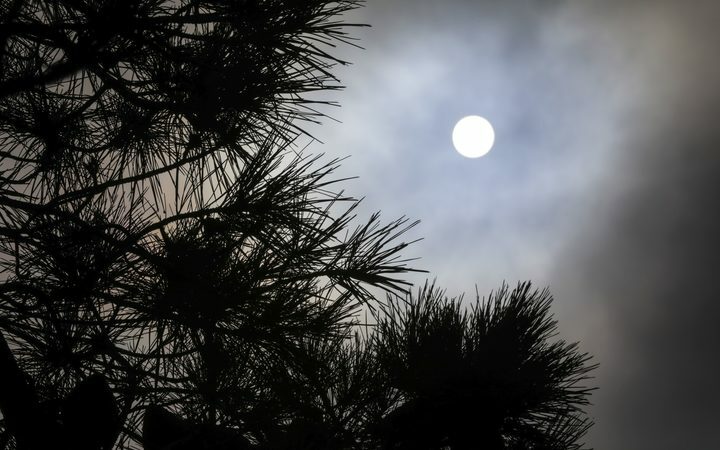 The congressman repeatedly pointed to forest management measures that he believes hold the keys to conquering smoky summer skies in Southern Oregon. “Enough is enough,” he said. Walden’s speech was initially peppered with a grim recitation of statistics showing the toll that wildfire smoke has taken across the state, especially in Southern Oregon. That included data from a Travel Oregon report which estimates that Jackson County represented $3 million of a $51.5 million statewide loss from the tourism industry in 2017 due to wildfire smoke. 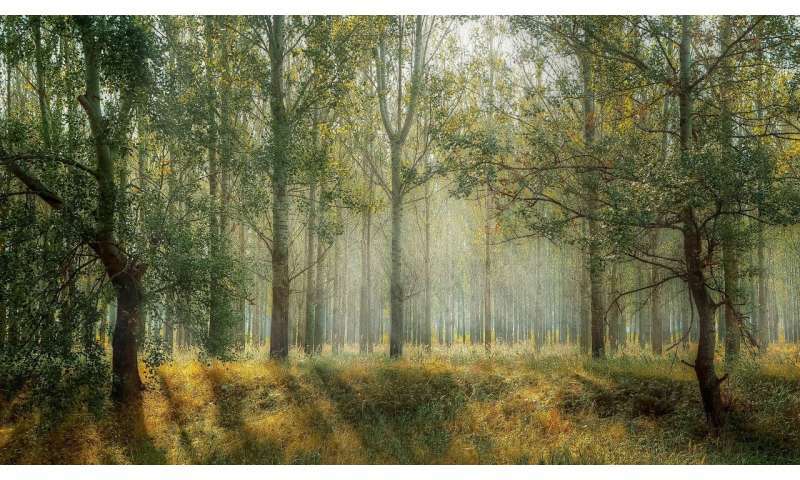 …In Monday’s speech, he framed his recommendations for more active forest management in the context of its link to climate change and reduced carbon emissions. TORREYA STATE PARK, FLORIDA—Religious scholars have long debated where Noah constructed his floating zoo made of “gopher wood” (Genesis 6:14) and what tree the ark’s gopher wood even came from. Some residents in the Florida Panhandle have an unlikely answer. The place in question is, well, there, and the tree in question is torreya taxifolia. Known [in the Florida Panhandle] as gopher wood, torreya taxifolia (or, as stinking cedar for the astringent smell it releases when needles are rolled between the fingers), local legend has it that the tree was used to build the ark that Noah rode out 40 days of floods on, with the menagerie landing, eventually, on Mount Ararat in Turkey. …the tree faces a new era of ecological violence. 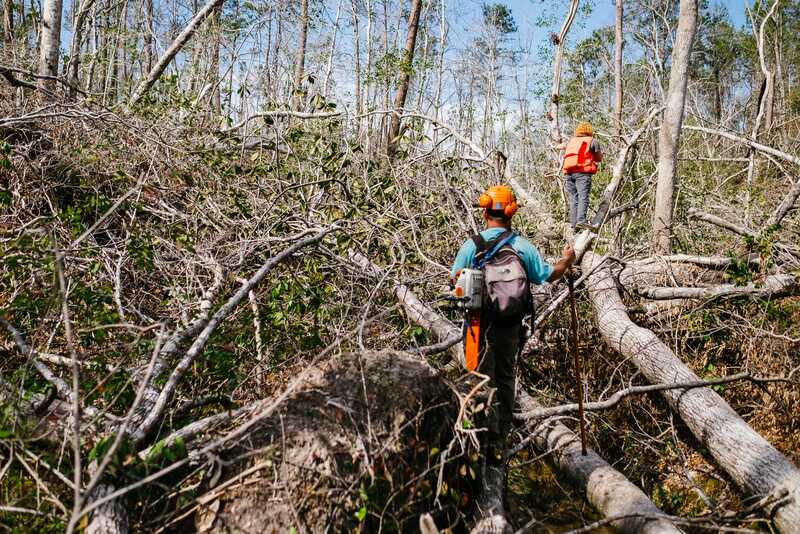 …Globalization delivered a fungus the tree had no defense against… Then last October, Hurricane Michael plowed through Panama City and into the Panhandle. The National Environmental Standards for Plantation Forestry came into force in May last year but are about to be reviewed by the government. The Environmental Defence Society and Forest and Bird decided to conduct joint analysis because of increasing public concern about the impacts of commercial forestry in light of events like Tologa Bay last year. An estimated one million tonnes of logs and debris was left strewn on properties and roads on the East Coast during two bouts of heavy rainfall in June last year. Farmers put the cost of the damage in the millions of dollars. The two environmental groups said forestry was high risk in terms of worker safety and environmental impact, and the regulatory approach was too soft. Environmental lawyer Sally Gepp described regulation as a “light-touch which was inappropriate for such a high-risk sector”. The Japanese government is reportedly considering enacting a policy that would require palm kernel shells (PKS) to be meet sustainability criteria. A new FutureMetrics whitepaper considers the implications of such a policy and predicts it could increase demand for wood pellets. According to the whitepaper, the Japanese Ministry of Economy, Trade and Industry is considering sustainability requirements for PKS. …“The exact regulation wording is as yet not known. Furthermore, FutureMetrics is not sure if these rules will be applied to already signed contracts for PKS or not. 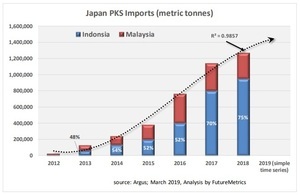 However, it appears very probable that Japan is moving toward a more rigorous set of requirements on biomass fuel procurement.” The whitepaper explains Japan is currently the world’s primary buyer of PKS. Based on long-term data on atmospheric carbon dioxide concentrations, an international group of scientists coordinated by the Laboratory of Climate and Environmental Sciences have discovered that vegetation in the Northern Hemisphere is absorbing increasing amounts of the CO2 produced by human activities, thereby partially offsetting the effects of global warming. The research was published in Nature on 3 April 2019. …The exact magnitude and trend of the terrestrial carbon sink in the Northern Hemisphere remain uncertain. …The difference between CO2 records in the Northern and Southern Hemispheres shows that the concentration of carbon dioxide in the atmosphere remains higher on average in the north. This is due to CO2 emissions from fossil fuels, which are mainly produced by industrialized regions located in the Northern Hemisphere. QUESNEL, B.C. — A lumber mill in the Cariboo region has been fined after a worker sustained serious injuries at the plant. The incident happened at West Fraser Mills in Quesnel. WorkSafeBC said in its penalty decision that a worker from a subcontractor’s firm was vacuuming ash from a hatch midway up a multi-cone hopper when compacted hot ash broke free. The ash rushed out of the hatch and onto the worker, causing serious injuries. “WorkSafeBC’s investigation determined …not conducted an adequate assessment of the risks associated with accumulated hot ash”. “Safe work procedures had not been communicated to the subcontractor firm, and the subcontractor’s workers had not been trained in the work task.” WorkSafeBC imposed a $637,415 fine.